The United States Occupational Safety and Health Administration (OSHA) has proposed changes that would require employers to publicly disclose illness and injury reports. Currently, employers are only required to post yearly summaries of illness and injuries. According to the Bureau of Labor Statistics there were more than 2.9 million recordable cases in private industries in 2012. Under new rules companies would be required to submit workplace injury and illness data electronically each year. Due to the electronic submissions members of the public will be free to view the information. As this is merely a new proposal, should the rule be implemented, about 38,000 companies would be required to submit the data once a quarter. Additionally, approximately 440,000 companies within industries with high rates of injury and illness, such as construction and mining, would need to electronically submit their data once a year. OSHA hopes that public disclosure will decrease the number of workplace accidents and illness due to the pressure companies would be under to comply with existing safety rules and procedures. Additionally, companies may also be more willing to improve their safety procedures. The new rules could also allow OSHA to target companies with poor safety records and reduce the number of inspections at companies that regularly have few injury and illness cases. 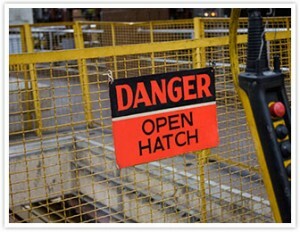 Along with making the data public OHSA is hoping that employers, employees, the government and researchers will be better able to identify and lessen workplace hazards.